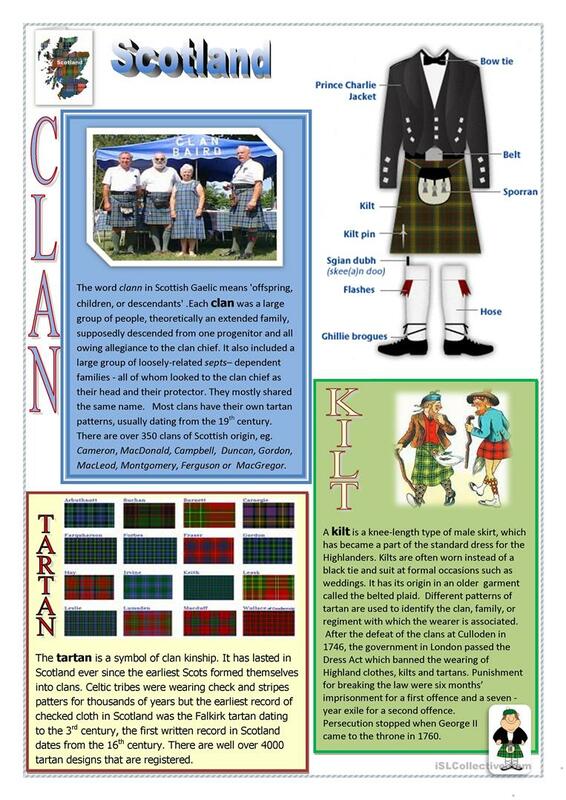 Ss get more info about clans, tartans, kilts and other parts of Highlander's garment. The present downloadable printable was created for business/professional students, high school students, elementary school students and adults at Elementary (A1), Pre-intermediate (A2) and Intermediate (B1) level. It is excellent for developing your groups' Reading skills. It centers around the theme of United Kingdom.